It is necessary to develop an urgent program for evacuation of people from Donbas because of the approaching ecological catastrophe there and the processes that can not be localized, Deputy Minister for Temporary Occupied Territories and Internally Displaced Persons Heorhiy Tuka has said. This is reported by Interfax-Ukraine. "This is not an issue of saving Donbas. It can not be saved. It is about the gradual liberation of this region from people, because people will not be able to live there for ten years," Tuka said. According to him, a number of contaminated mines have been flooded in Donbas, including those containing radioactive materials. Water from them will spread to uncontrolled territories and the Russian Federation in the near future. The total area of pollution can reach 15,000 square kilometers. In addition, according to the deputy minister, massive subsidence and ground failures are expected in the region. "There are a lot of problems that do not recognize borders and do not know what it is. The laws of physics equally act in the territory of Ukraine, and in the territory of the United States and elsewhere. As a result of the report [National Academy of Sciences], Donbas is already doomed for a maximum of ten years. 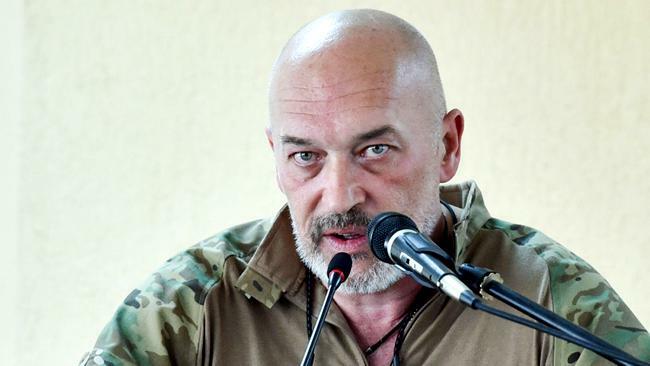 Such processes have already begun, which can not be localized," Tuka said. According to him, now the difference in the mineralization of the river Siversky Donets in the place where it enters the territory of Ukraine and in the place where it leaves is eight times. In 2016, according to the State Emergency Service, 88% of the reserve sources of drinking water in the government-controlled part of the Luhansk region were found unfit for use in everyday life. According to the deputy minister, it is necessary to begin international discussions on the solution of the issue of environmental disaster in Donbas. "The problem should be raised to the highest level and international discussions with the search for a solution to this problem are also necessary ... We must shout at the top of our voice to the whole of Europe about the possible consequences," Tuka said.